In a growing, digital age; there is still room for physical stores and businesses to set-up and succeed, as people still enjoy picking up and feeling products, or speaking to a human being about a particular service, or whatever it is you have to offer. Therefore, if you’ve set up a new, creative business, and are fresh on the scene; you’ll want to get off to a great start and leave a positive impression on your potential customers and clients. There’s no better way to promote your arrival than to throw a launch party to remember, so it might be time to start making some lists and organizing your event. A launch party is your chance to get the right crowd into your store, and you’ll be there to describe and explain who you are and what you’re selling. People always appreciate a brand’s story; the ethics and reasoning being your independent company will be a major factor in attracting customers and an appealing way to draw them in. Taking various elements of your party into careful consideration and planning it effectively, will ensure that your store launch will be one to remember, and will give your new business the boost it needs to compete in today’s market. With a heavily saturated internet, full of the same generic items; you’re already off to a great start, as you can offer something unique and a customer experience to remember. Therefore, your launch needs to be the boost that your business deserves in order to make an impact from the get-go. 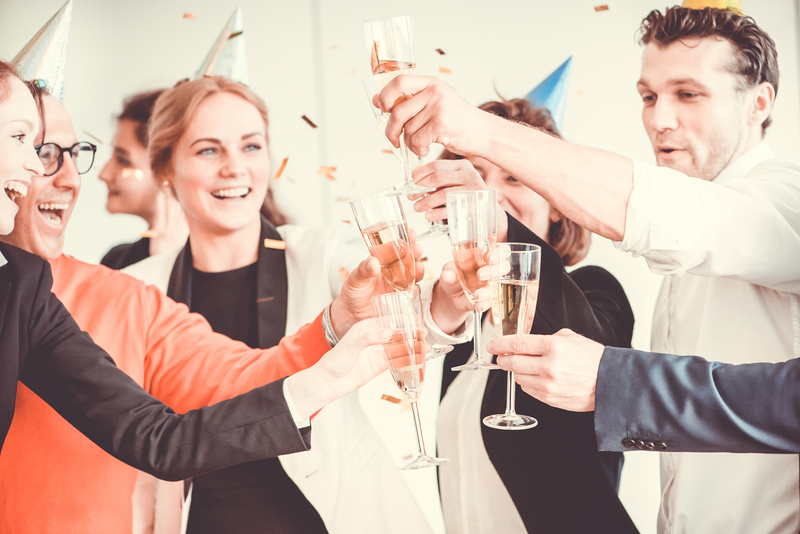 The following are some tips and ideas on what to think about if you’re planning to get your company off to the best start possible with a successful launch party. You’ll obviously want to celebrate the launch of your store and startup with your friends and family, so it’s a given that they’ll be top of your list when it comes to guests. However, you’ll also need to bear in mind those who will benefit your new business and can help you sell, promote, and invest in your products or services. Therefore, you need to ensure that you do your research and pick people who will fill out your launch and send them a formal, professional invitation, well in advance of the party. Look for business people in your local area, and further afield, who would be able to attend and who would take an interest in who you are. Strike up a conversation and build on a relationship beforehand, so that your invite doesn’t seem to appear out of nowhere. A little networking in the surrounding stores and area, before your launch will go a long way in making it a success, so get out here and figure out who you need to be talking to. Look at people’s social media profiles; if they have a local following of those that are able to reach your new shop, it’s time to invite them. Local and regional magazines and press are also those you should approach and befriend; anything that will benefit the local area will be championed by others, so don’t be fearful of introducing yourself and letting people know who you are. You’ll want to build excitement surrounding your store grand opening. And, whether people are invited to attend the launch or not; it’s vital that they’re aware of when it’s happening so that they can make a note in their diary on when to pop along and start shopping. Therefore, ensure that your social media handles have been live beforehand, for as long as possible, and make sure you’re posting regular commentary, images, and content, to build momentum. As a new local store, it’s worth getting some promotional material printed too; look into cheap poster printing and try to place and position them in the areas that your target audience often visit. Leaflets, flyers, and postcards are other great ways to expose your branding and new business, so start getting the word out ASAP. As a fresh, small business; you won’t want to spend too much money on extravagant themes and over-the-top parties that will distract from your brand and what you do. Ensure that your store and products can be seen clearly, and choose your food, drinks, and music wisely. Think about giving your guests gifts or goody bags to take home; you could hand these out at the entrance (or exit) to your party, or have them available to pick up around the space. The more your guests see and experience your new business, the better; you want them to leave with a strong sense of who you are, so make sure it’s apparent.